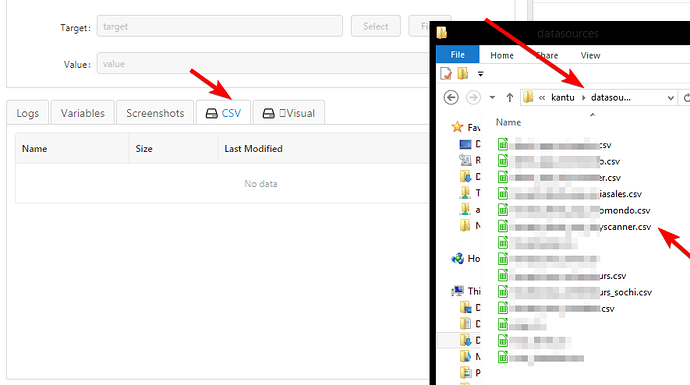 Something happened with csv user storage? - Kantu - Forum for Kantu Task and Test Automation and the free OCR API. I don’t see scv on Chrome nor on Vivaldi. But scripts read and write data to them. It’s just the displaying issue. I have figured this out. If there are files close (or over) to 1mb - no show. Great, thanks for finding this out! The short term fix will be to show a proper error message, but the medium term real solution is (of course) to support files greater than 1 MB.